I’m in the midst of an epiphany. So many people my age are intimidated by technology and its children, but I am intrigued. 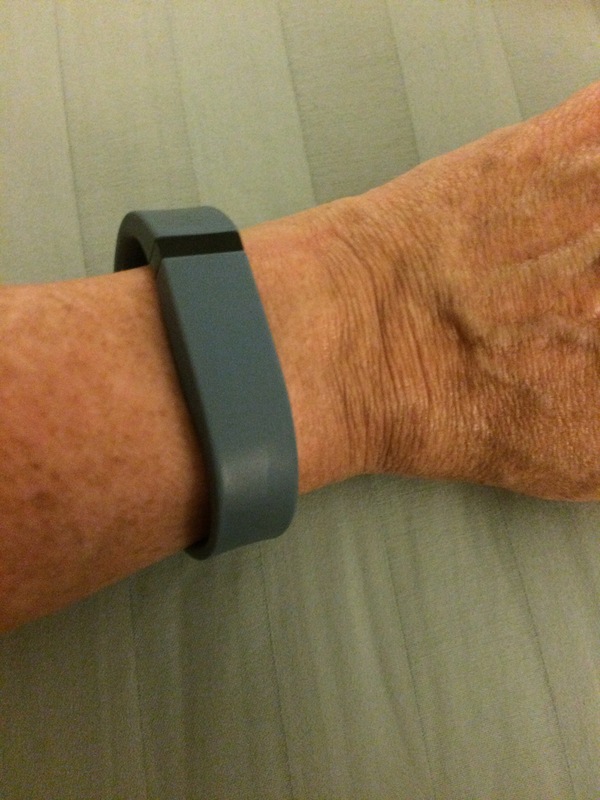 My latest fascination has been the fitbit. I purchased one of these devises last April or May so that I could monitor my movement and my sleeping. In terms of sleep, light has been shed on the amount of time I am awake at night. The epiphany, however, is in the daytime movement category. My first light bulb moment was all about taking creative steps (literally) to increase my activity. my fitbit is contributing to daily prayer opportunities and peace of mind in my life. As I am a professional minister in the Catholic Church, you might wonder about this–isn’t prayer and peace part of the job description? In an effort to be creative about movement opportunities, and, given that it is summertime, I allow myself the freedom to go from office to office on our campus via the outdoors. Once outdoors, the summer daylight, sweet breezes and azure skies seduce me into spending a bit more time going from point A to point B. Being a good Catholic, I of course, would need to relish some guilt about this use of my time. That is, until I realized [light bulb!] that this time spent breathing was also a gift of prayer time. Not only am I adding about 500 steps to my day each time I engage this ritual, but I gain the unexpected yet greatly desired opportunity for dedicated conversation and listening with God. I now refer to these little adventures as my prayer breaks. Seems like a healthy and soulful practice and one I will continue to evolve as the weather morphs into winter. And all because of a technology gadget! How do you carve out a moment with the Divine? Feel free to share…. Previous:Feathering Friday: Oh Autumn, where art thou? Just wanted to share. Have not done the good catholic thing in probably 40 years though I believe my connection with the Divine is similar to Native American. I begin each day thanking for the stars, moon, sun, wind and rain, Creatures of land, sky and water. All that grows on this earth that i treat it with kindness and compassion. I next pray to my ancestors. For those who have walked before me and who;s blood , tissue and bone course through my body. That I may honor those who walked before me. Then I say Lord make me an instrument of your peace…. I am slowly dying from end stage renal disease. Lost my kidneys a year ago to an autoimmune disease. I am on the transplant list but reality is 50% never live to see a transplant. I need blood transfusions 2 a month. It is like playing russian roulette. When does the diseases take away any chance for a real life. I am in the fight of my life. Yet there is a wonderful chemistry that takes place when you are fighting for your life. It why I sing and dance loud to the radio. I occasionally put purple in my hair because I can. This chemistry makes you live life more fully. I am more aware of the Divine and there comes a sense of responsibility. I am a marriage and familytherapist. Do therapy totally different than before I got sick. Thanks for providing a safe place for me to rant.